This week my Friday Favourites post is all about blogging! Blogging is wonderful, in my humble opinion: what began as a hobby and an outlet for my creativity has become a lifeline through living with grief, and provided me with a sense of purpose during the darkest days. I can write my words, my way, and in my own time. It’s my own little corner of the internet! No one is required to sign off what I write, which is refreshing! Provided I am happy that what I have written is for the right reasons, factual and accurate, and that I am not causing any offence (intentionally, at least) I have carte blanche to do as I like. No one telling me what to do, no direction, no deadlines. If I want to write, I write. If I don’t want to write, I don’t. The majority of my posts in the last year have inevitably focused on Hugo, what happened around his birth, life, and his death, and dealing with what came after. These posts have had a range of styles: some are stream of consciousness, some are commentary and opinion – I have even explored poetry as a way of articulating my emotions. Over time, I have felt able to write about what makes ‘me, me’ with more frivolous posts including a bit of humour, contemplating life, the universe, and everything. Oh, and bags and dresses. Just like with the point above, I am free to write what I want to write, according to my mood or feelings that day – and in the way I want to write it. The freedom to explore different styles of writing has built my confidence as a writer – if you tend to stick to a particular style, why not experiment? You can always write drafts and not publish things until you’re happy with them. The opportunities I have been given. My blog is my platform for Hugo’s Legacy, to make a difference to other families in his memory. Through it, I have met the most incredible, inspirational people; been invited to speak at events; learned how Hugo is helping influence health care professionals’ practice. It really is wonderful to behold. While it may seem cheesy, the blogging community is wonderfully supportive to one another. We provide mutual support, and I have made wonderful friends. 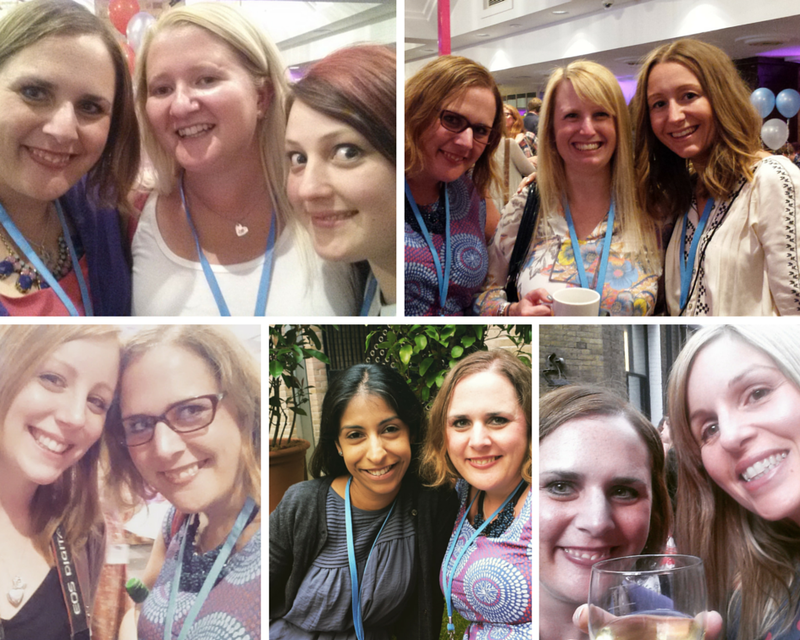 I’m fortunate to have met many of them in real life, too, such as at BritMumsLive a couple of weeks ago. Bloggers – as well as others who visit my blog – have provided me with so much love and support, helping keep me going and giving me valuable reassurance that my Hugo will never be forgotten. I feel privileged to be a part of the community. Blogging also means I am able to provide support to those who are only just beginning their journey after birth trauma, neonatal care, or the death of their baby – the importance of knowing you are not alone cannot be underestimated. 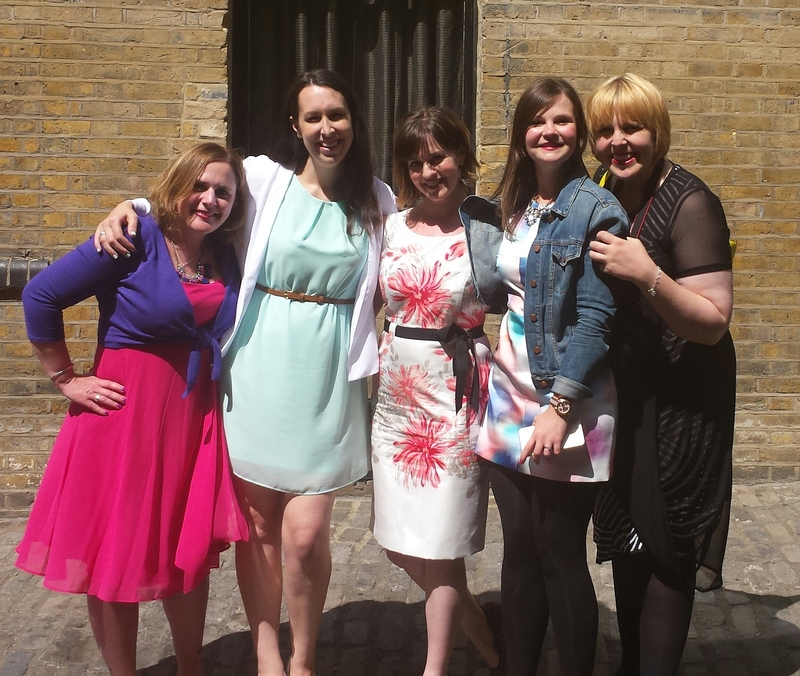 Above and below: Some of my lovely blogging friends. Without blogging, my life today, my outlook on life, and my view of the future are likely to look very different indeed. Sunday morning seems to be a good time for resonant posts to be shared on Facebook; posts that prompt lots of thought and make me a bit emotional. Unlike the parents described in the article, nothing could have been done to have prevented Hugo’s death. However, as I have said numerous times, there is no ranking system. I might not be able to prevent other families suffering the same kind of loss (while I have been working to raise awareness of preeclampsia and HELLP syndrome, they are both thankfully very rare), but I can help prevent other families suffering the kind of additional, avoidable pain and distress mine experienced because of a lack of appropriate support. That is what Hugo’s legacy is all about. I love that the quote states they don’t use words like ‘healing, recovery, or closure’. 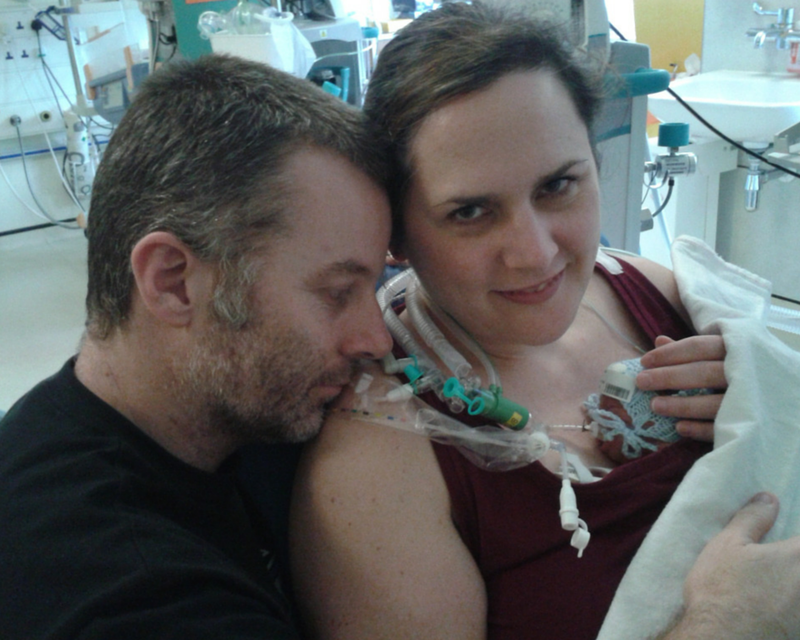 In my view – and shared by many other bereaved parents – that these things are not possible. We know that nothing will or can bring our children back. Things may, over time feel ‘better’ but they will never ‘be better’. We may seem to have ‘recovered’ outwardly, but the grief is always lurking beneath the surface, ready to re-emerge without warning. There is no such thing as ‘closure’ – Hugo will always be missing from my life, I shall always love him and miss him with all my heart. Nothing can ever replace him. I too would give up all my insights and altruism to have him back in my arms. No hesitation. In a heartbeat. That is why comments such as I described in this post are so very hurtful. That comment is just a representative example. It demonstrates how we need to look differently at grief, trauma, and how we (the wider ‘we’ – culture and society) work with those who have experienced grief and trauma and work together constructively, collaborating and learning from each other to make a positive impact on the world. If you are on Twitter, please join #PNDHour on Wednesday June 3 between 8pm and 9pm. I will be co-hosting a chat about baby loss support. All welcome. Hugo’s Legacy focuses on improving information and communication, especially for parents who have lost a baby. #MatExp is a powerful grassroots campaign that aims to identify and share best practice in maternity services across the country. I am so proud to be helping lead #MatExp; it is a chance to help #HugosLegacy make a real difference. 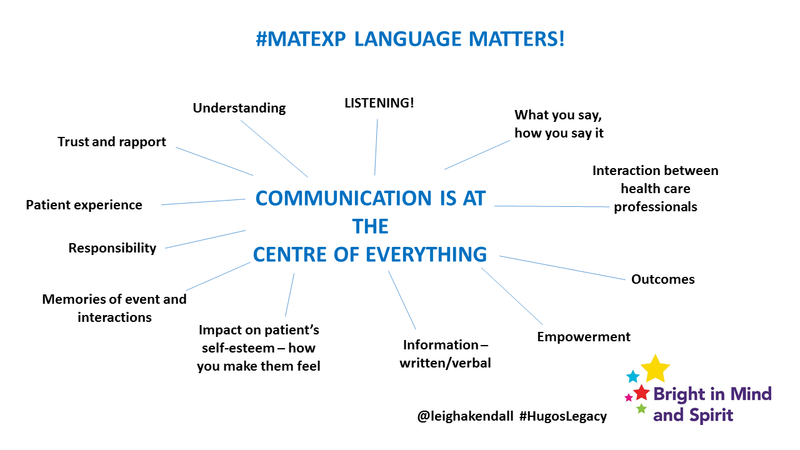 The #MatExp campaign has grown so much since its official launch at NHS Change Day in March 2015 it now has its own website to store all the ideas, activities and actions. The website has been a labour of love – I started building it only last Wednesday – (today is Monday!). It has been a wonderful example of group working and crowdsourcing with inspirational and passionate people. The loss of my son Hugo in March 2014 has affected me so profoundly my action focuses on bereavement support. Nothing could have been done differently in either my or Hugo’s care from a clinical perspective. However, better communication, especially at the end of Hugo’s life could have made an already heartbreaking situation less stressful. I have written previously of how the news about withdrawing Hugo’s treatment was given. To compound that finding support to help us come to terms with our loss, was incredibly difficult to source, as I have written about in this post. A recent discussion on the #MatExp Facebook page revealed that our experience is sadly not unique. 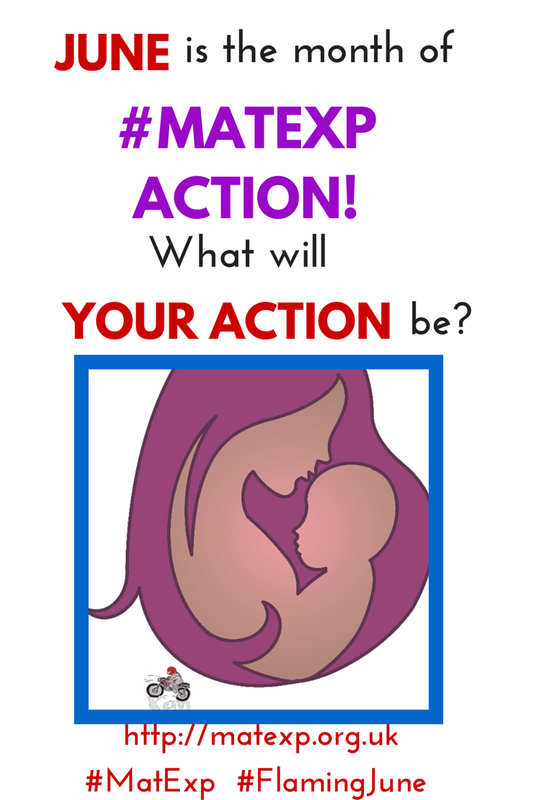 The #MatExp community is writing blog posts to summarise the discussions and suggested actions. The immediate action for bereavement support is one that can be done by anyone, anywhere, anytime – and costs nothing. Acknowledge the baby the parents have lost. If you know the baby’s name, use it. If you don’t know the baby’s name, ask. Take the parents’ lead on whether or not they want to talk about their loss. Try not to worry about saying the ‘wrong’ thing. The worst thing you can do is to skirt around the subject, or ignore it completely. To ignore the baby is insulting and upsetting to bereaved parents. Clear, concise, sensible, and up-to-date information to be provided to bereaved parents when they leave the hospital after the death of their baby. Parents need reassurance about the emotions they are likely to feel, and a few pointers about how to navigate grief, especially during the raw early weeks. The information also needs to clearly state how the parents can access appropriate support as and when they are ready. Access to counselling support. Too many bereaved parents have had to fight for the counselling and psychological support they need – or have gone without. Some hospitals do offer counselling services: hospitals need to make clear to parents that this is available, and how to access it. Funding issues mean that not every area is able to provide these services, but charities thankfully do exist to fill the gap. Hospital and GP practice staff need to know what support is available locally so they can signpost parents appropriately, or where appropriate make referrals for them. Leaving bereaved parents to source their own support at a time when they are least able to have the tenacity to deal with ‘the system’ is unacceptable. Training in bereavement care for health professionals. Surprisingly, many don’t receive this as standard practice. The vast majority of health professionals are caring individuals, but a lack of appropriate training means many are unsure about how best to deal with bereavement, which may lead them to saying things that are less than helpful to parents. What is said to parents at this sad time stays with them forever, so the importance of this training cannot be underestimated. This training should be extended to all staff involved with maternity/NNUs (including admin, housekeeping et al) to help prevent unnecessary upsets. Debrief/support to care for the needs of maternity, obstetric and NNU staff after the death of a baby. These staff are deeply affected by the loss of a baby in their care. For my own action, I am going to be continuing to encourage everyone – health professionals and the wider community – to talk about baby loss – #saytheirname. Helping empower other bereaved parents to talk about their experiences, to help share good practice. I have already made a start on the first of the longer-term actions: I created simple bereavement information for the NNU at St George’s, where Hugo was cared for and will be seeking opportunities to share this more widely. In addition, I am writing a book about Hugo, and our first year after our heartbreaking loss. Parents suffer enough when they lose a precious baby – anything that can help make life after loss a little bit easier is invaluable. 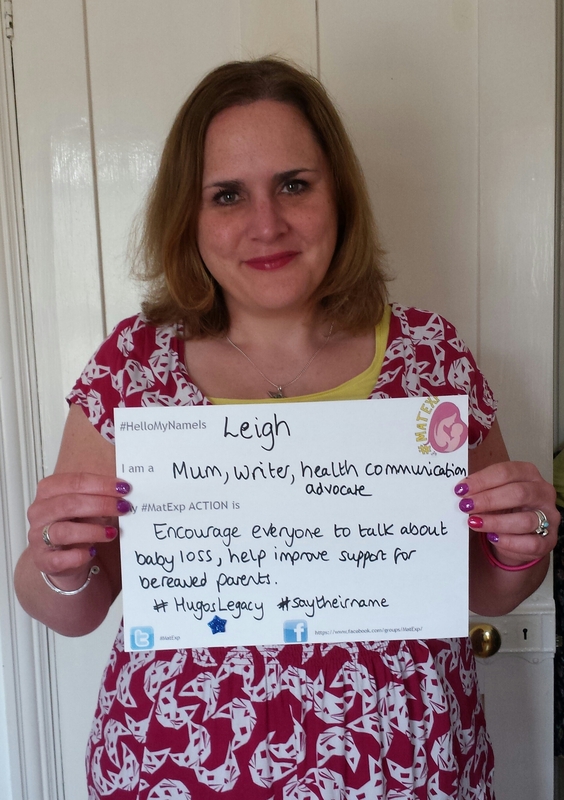 I shall be keeping you up-to-date with progress on #HugosLegacy, #MatExp, and #SayTheirName – watch this space! What do you do when faced with having to do something you fear? a) Fear? What’s that? I fear nothing! c) Hide and hope it will go away. d) Face it head on – show it I’m not scared! e) Do everything you can to best prepare for everything it may present you with. Really, I suppose your response is going to depend on the situation. For example, I am terrified of spiders so faced with a huge one of those my response would be b. Run away, fast. I’m someone who thinks people who call the emergency services to help them deal with an eight-legged fiend in their home are perfectly reasonable. Anyway, this is not a post about my arachnophobia. The fear I am facing is returning to work next Tuesday. Saying it’s a fear sounds strange. It’s not like it’s something that makes me jump in terror like seeing a big spider scuttle across the floor. I have been away from work since early February, 2014. That’s a very long time. In that time, Hugo was born, Hugo lived, Hugo died. I had to recover from my illness. I had to find support to help me deal emotionally with my illness, Hugo’s too-short life, and his death. It took me a very long time to find that support, and in that time I developed coping strategies that helped me survive but that were not conducive to being out in the big, bad world. Those coping strategies involved being in control. Staying at home, usually; it felt safer. Controlling who I saw, spoke to and when. Finally, the support I needed transpired. Another tough journey, scabs torn off, wounds reopened. But progress made. An acknowledgement that any progress is good. Self-compassion, self-care. I have to be kind to myself. There is no cure for grief. This is forever. Eventually, finally, I felt as ready as I ever will be to return to work. And what is there to fear, rationally? It’s only work. It’s not like I’m in the armed forces, in the firing line. I work in a hospital, and not on the front line. The problem? I will be returning to work with a couple of new companions: grief and anxiety. They can take up lots of energy, needle you with self-doubt, taunt you by sending you in to a spin of a deep, dark, mood. Frustratingly, they do not understand rational thought. Telling myself there is nothing to fear does not remove the fear. So, I am focusing on option e. Doing everything I can to prepare. Being compassionate towards myself for those times when grief or anxiety take over. Making time for self-care so I have more positive energy to help cope with the dark moods. Teaching myself to resist negative energy, to focus on what it is important, to know my own limits. Remembering that one step, one day at a time is all I need to do. Remembering that I have dealt with so much worse in the past year. And survived. Remembering that I work with so many wonderful, kind, compassionate people, many of whom I am proud to call friends. Remembering that by remembering my self-care and self-compassion tools, I can remain in control of many things. Remembering that some people will not know what to say, meaning that they may look at me like I am a leper, ignore me, or say the ‘wrong’ thing. That does not make them bad people. I have handled all sorts, I can handle this too. Remembering that moving forward with my life does not mean moving on from Hugo. Hugo is still with me. In my heart, in my mind, his legacy in everything that I do. Remembering that this is a landmark moment marking the end of the most beautiful, the most harrowing, the most wonderful, the most heartbreaking, the most eye-opening, the most challenging period of my life. Remembering that while I wish with every cell in my body Hugo was still with me, I am the stronger for everything that has happened. Preparations for facing the fear of what is next. But knowing that surely, what is next can never be as bad as what has come before. Imagine seeing your new baby in an incubator, covered in tubes and perhaps ventilated to help them breathe. Imagine seeing your new baby in pain and there being little you can do to make it better. Imagine being surrounded by unfamiliar machines that beep relentlessly, unfamiliar words, terrifying news, feeling constant bewilderment. Imagine not being able to hold your new baby, cuddle them, do all of the things you had expected to do with them. For most parents, this is unimaginable. 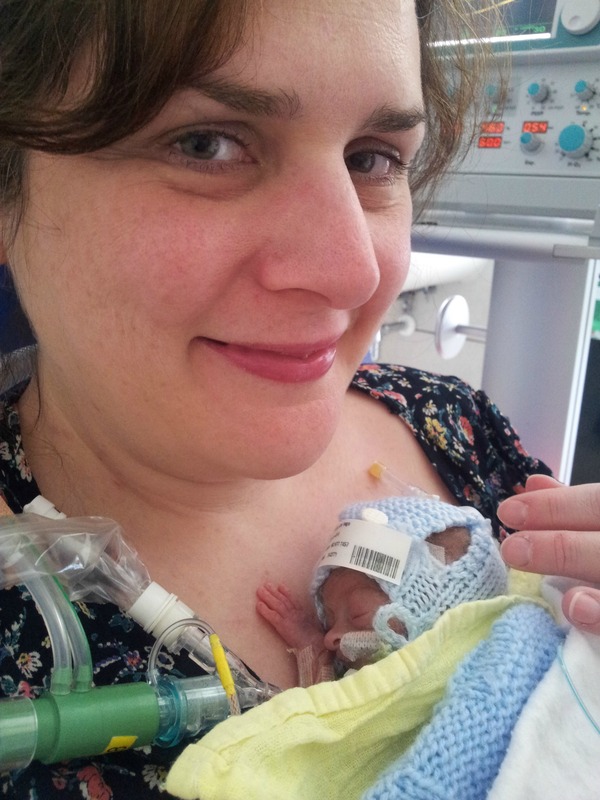 But it is the reality for parents whose babies are in neonatal care. The results of the Picker 2014 Neonatal Survey reveal many heartening, positive results but a need for improved communication. Effective communication is at the centre of good health care and patient experience. Effective communication is my passion, and the focus of Hugo’s Legacy – the findings demonstrate just how much this work is needed. Being a patient in hospital yourself can often present plenty of challenges: you may be in pain, uncertain of what is happening, and feel disempowered. These feelings are increased exponentially when your child is in neonatal care. This section of the report – the areas that performed least well in all units in hospitals across the country – tells a compelling story of what most needs to be improved. Sadly, none of it is news to me. Responses to question F2 “Were you given enough information to help you understand your baby’s condition and treatment?” are concerning, with 30% of respondent say they did not receive any written information at all. That is unacceptable. In my view, the question is misphrased. It would be more helpful to ask “Were you given information to help you understand your baby’s condition and treatment in a way that was useful to you?” If I had completed the survey (I was excluded because my baby was not ‘discharged alive’ – more of that later) I would have said I had more than enough information – too much, in fact to the point it was not useful to me because I was so overwhelmed by it, I didn’t read it. – Simplified generic and unit-specific information available in communal parents’ areas (I designed a poster for St George’s, where Hugo was cared for). The information that is offered to neonatal parents needs to reflect the diversity in their understanding, literacy, and the fact that when you are exhausted and terrified information is not always absorbed effectively. As mentioned above, surveys were sent only to parents whose babies were ‘discharged alive’. I completely understand why this would be the case: there are so many complex and sensitive considerations surrounding bereavement. However, this means a vital piece of the puzzle is missing from the survey: bereavement care and information. For parents whose babies die, this is as vital a part of the journey and experience as any, and it needs to be considered in order to give a full picture. There are no prizes for guessing which version I chose to give most credence to. Ultimately, the second doctor was correct. Sadly, the first doctor’s view made the news that there was no more hope for Hugo a terrible shock – I was not expecting any such news that day – not to mention the insensitive way such devastating news was delivered. Bereaved parents will have just as much to say about their baby’s care as parents who took their babies home. There are so many ethical considerations surrounding surveys, but a way needs to be found to make sure bereaved parents’ voices are heard. Consider, for a moment, the point about 30% of respondents saying they were not given any information. This is bad enough – just like any new parent, those early days and weeks with your baby are precious, and you cannot get them back. We cannot know how bereaved parents would have responded to this question because we were not asked – but consider, for a moment, the devastation and heartbreak of a bereaved parent. How do you think they might feel if they discover, after their baby’s death there was information that could have helped them better understand their baby’s care, or how to better get involved with their baby? There really can be no more effective motivation to ensure neonatal communication is effective. St George’s has been brilliant in listening to my feedback, and implementing changes where necessary. I hope other units follow their example. To give credit where it is due, I do have more positive responses to some of the questions in the excerpt above. The night before Hugo was born, staff visited me to tell me what to expect after he was born (A2); I was given two photographs of Hugo so I could admire my son before I was able to see him (B2); we were able to speak to a doctor as much as we wanted (C7), even if the information was inconsistent; I was offered counselling from the unit’s counsellor while Hugo was in the unit, although it would have been useful to have known earlier it was available for bereavement, too (F4); we were very fortunate to stay in the Ronald McDonald House on site (F5), which was invaluable because we were a two hour drive away from home. Anecdotal evidence from other parents suggests differing levels of help and support in these vital areas. 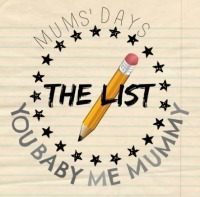 I was cared for in the same postnatal ward as women who had their babies with them (B3), which was not ideal but I was fortunate to have my own room. I understand other women have not been so fortunate. Connected to this point, there needs to be better communication between postnatal wards and the neonatal unit, and a better understanding by maternity staff of the needs of women who do not have their babies with them. My hope is that as a result of the survey results, improvements are implemented where appropriate for the benefit of all neonatal parents and their babies.